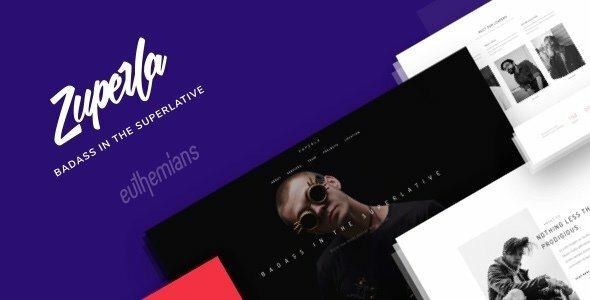 Zuperla is a creative and multi-purpose WordPress theme allowing you to become what you have dreamt of, the most badass author out there. We urge you to discover the unsurpassable artwork of Zuperla which comes second to none, in the front and in the back. It gives you the chance to do everything you want in any website, whether it is a general or a specific-purpose one. The most Advanced Grid System and its handcrafted elements combined with the amazing Import on Demand makes Zuperla the most customizable, multipurpose WordPress theme on the market. Unpack the Zuperla-tive fire-power and unleash the beast within. Plethora of Handcrafted Elements especially handmade for the theme’s preferences which harmoniously use the amazing visual interface of the Visual Composer. More than 50 thoroughly tested elements with detailed descriptions will make your life much easier. No code skills needed! Zuperla uses valid and clean code so that you make sure that Gooogle and other search engines will love it. It is also compatible with the most famous SEO plugins. The images included in preview are for demonstration purposes only. In case that you import dummy data, you will have placeholders instead of images. Some of these have been purchased from Shutterstock and others were downloaded from Unsplash, Death to Stock and similar sources.